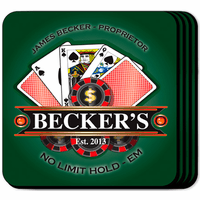 FEATURES/SPECS This golf theme personalized coaster set includes four waterproof coasters, each with a no-skid cork base and a wood holder to keep the stowed away in. 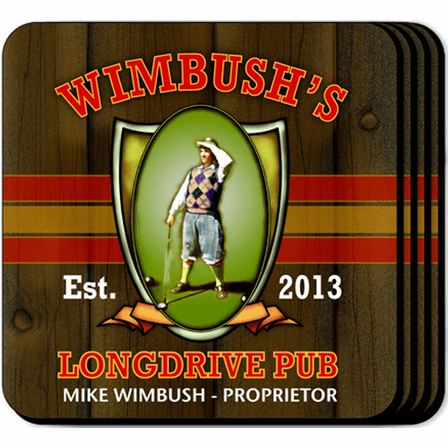 Each coaster comes with the image of an old time golfer admiring his tee shot. 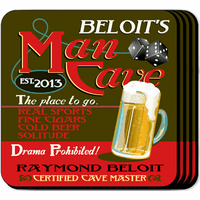 Hand to his eyes to shield the sun, it looks to be quite a long drive! 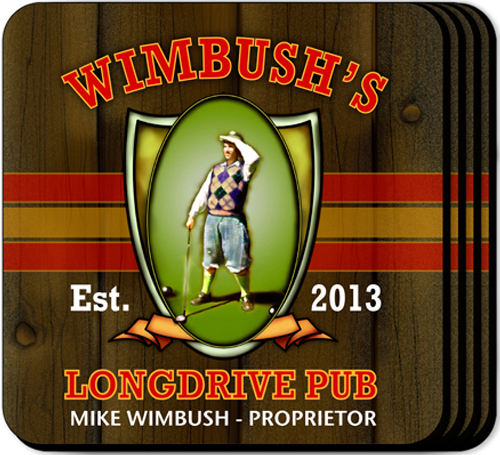 Personalize each coaster with the name of recipient, listing them as both the owner and the proprietor of their own longdrive pub. 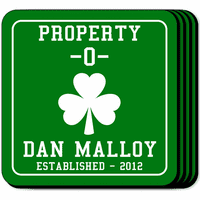 Add a date of establishment to these customized golf coasters for a terrific gift for your favorite duffer.